Planned gifts are strategic charitable investments that can provide you with important tax benefits now and in the future. Your planned gift also gives you the satisfaction of supporting the excellent education offered at Carolina Day School. We can provide you and/or your professional advisor with detailed information on the planned giving options that can most effectively meet your financial needs. For a confidential discussion, without obligation, please contact Director of Advancement Elaine Kreuz. These non-cash gifts include securities (stocks and bonds), property (real estate and art), retirement plans and business interests (partnerships, corporations, etc.). They provide charitable deductions and often offer additional tax savings to donors. Your attorney can help you draft a provision for your will, with bequests including dollar amounts, residuals, and specific items. Life-income gifts are gift annuities and charitable remainder trusts that provide donors with an income stream, significant tax savings, and the satisfaction of supplying Carolina Day School with vital long-term philanthropic resources. Donors often incorporate charitable lead trusts into long-term plans to transfer wealth to children or grandchildren. A charitable lead trust provides important current support to Carolina Day School and also helps donors greatly reduce their estate and gift taxes when wealth is passed on to heirs. 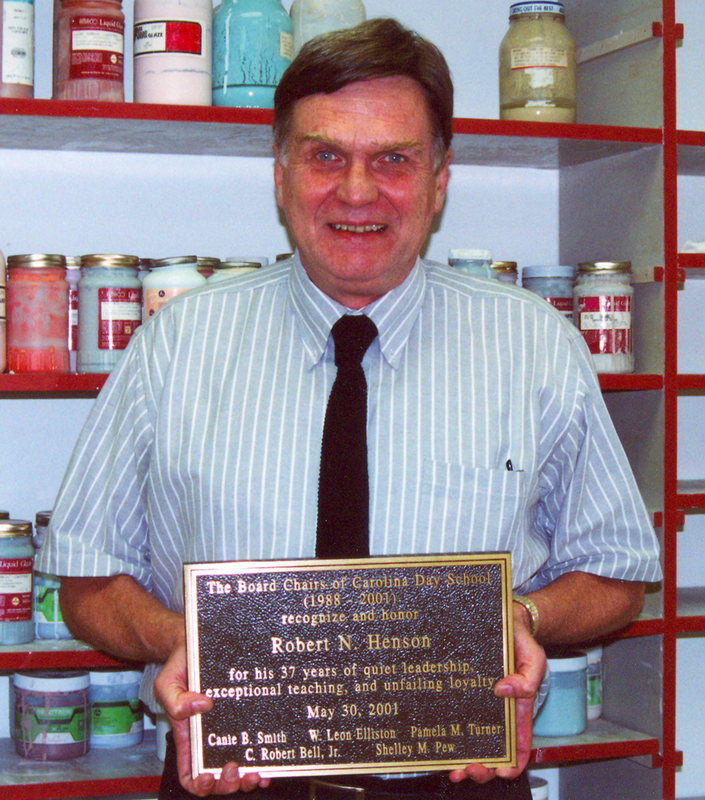 Bob Henson taught at Asheville Country Day then Carolina Day School from 1964 until 2011 as a beloved arts teacher. When he died in December 2011, he had left his estate to Carolina Day School in his will. The gift to the school's endowment gives current and future students the ability to attend CDS and appreciate the arts in his absence.